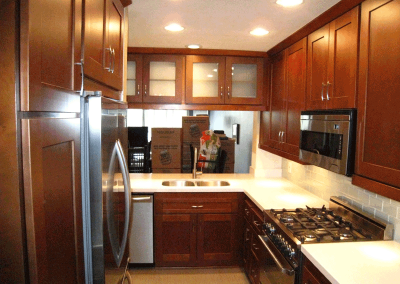 Kitchen cabinet refacing - Guaranteed lowest price! 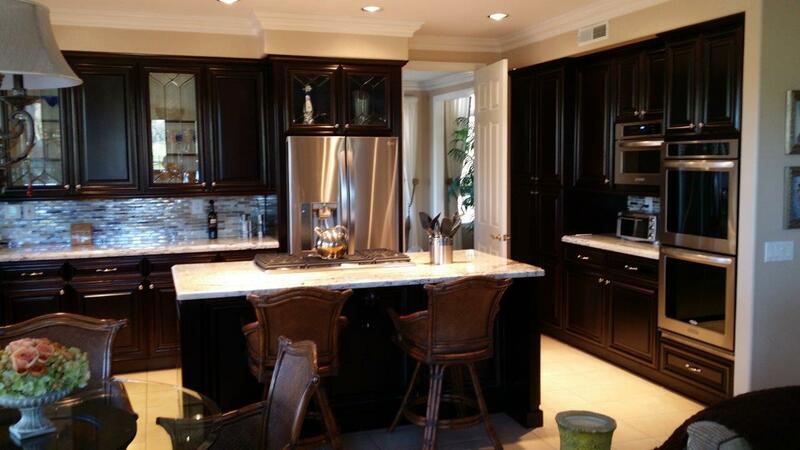 Kitchen cabinet refacing - Guaranteed lowest price! 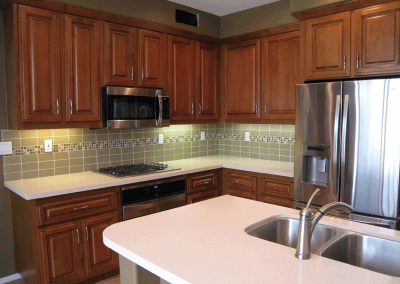 What is kitchen cabinet refacing? 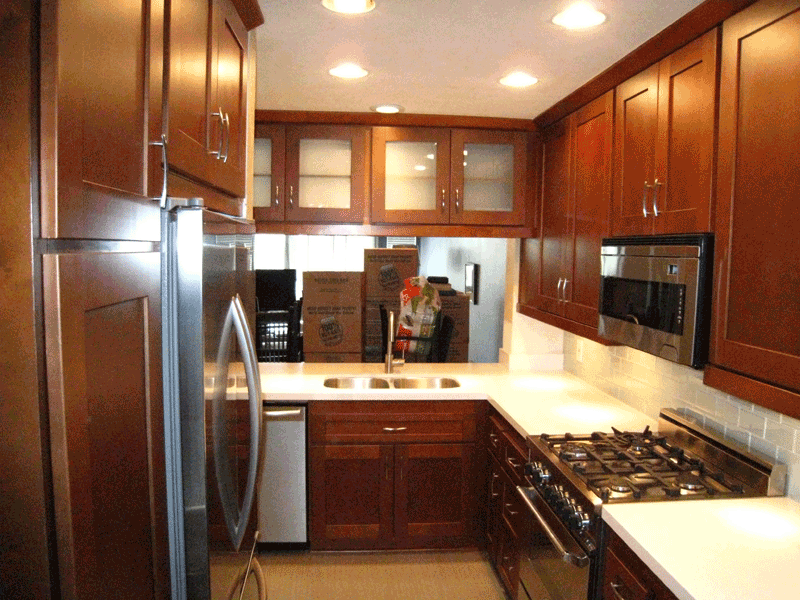 What does kitchen cabinet refacing entail? Be sure to ask any company you are considering doing business with what their process for refacing includes. Refacing can range all the way from simply stripping and repainting the cabinets and drawers and updating hardware to entirely replacing the cabinet doors with a new style door/material. 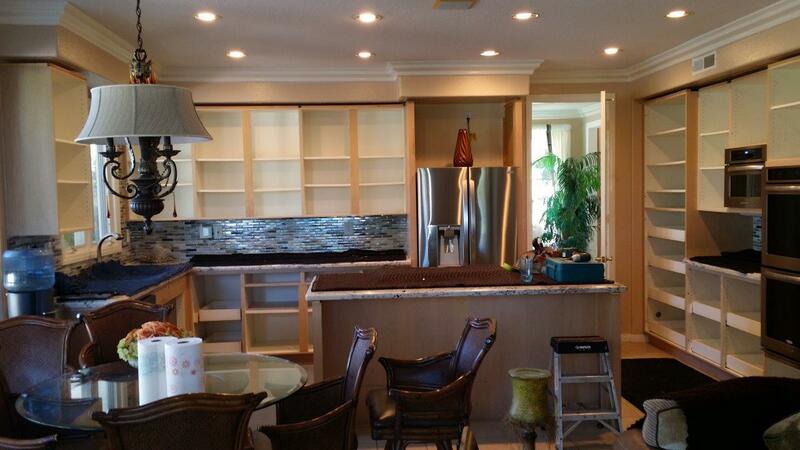 At Cabinet Wholesalers, we begin by removing existing doors and drawer fronts. Then we meticulously laminate our ¼” thick factory finished paneling to the exterior of the existing cabinets. Next we install new factory finished drawer boxes, doors, and drawer fronts. Cabinet Wholesalers of Anaheim’s team of professionals can help rekindle the original warmth and joy you felt for your kitchen. We offer an array of colors, styles, stains and pattern options for kitchen cabinet refacing that can make your cabinets look new at a fraction of the cost of new cabinets. Should I reface or replace? Are your kitchen cabinets starting to show their age? Maybe the finish is not what is used to be. Maybe they are marred by scratches from pets or stained from years of use. And yet you are hesitant to do a complete remodel. Overall you still love the layout and functionality of your existing cabinets. If so, you are the perfect candidate for professional kitchen cabinet refacing! 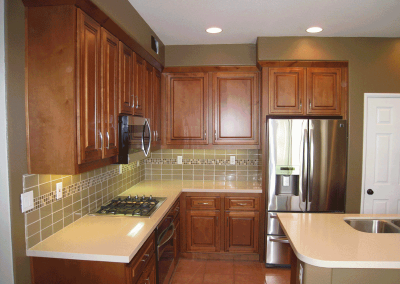 Kitchen cabinet refacing is a very budget conscious option to choose for your home. 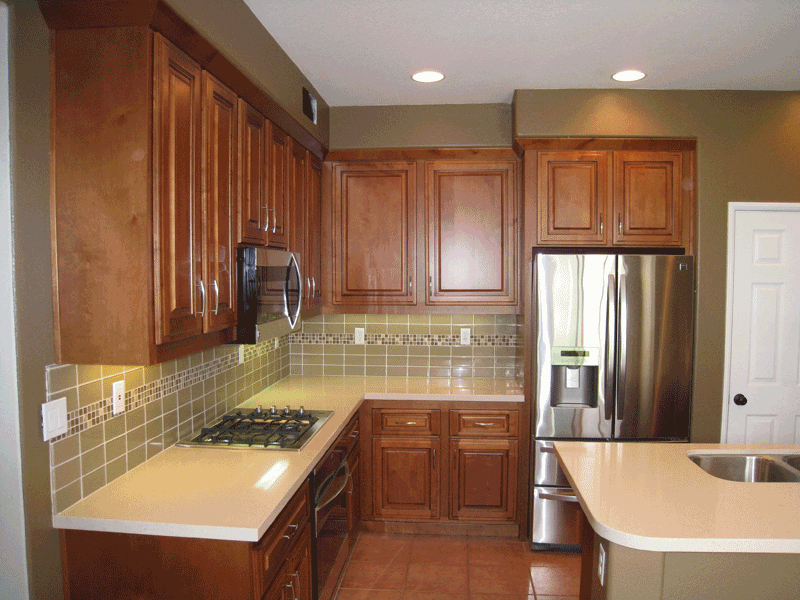 Home owners can save time and money by opting for kitchen cabinet refacing over replacing. Construction costs tend to be minimal. You can choose to keep your existing counter tops if desired to save even more . 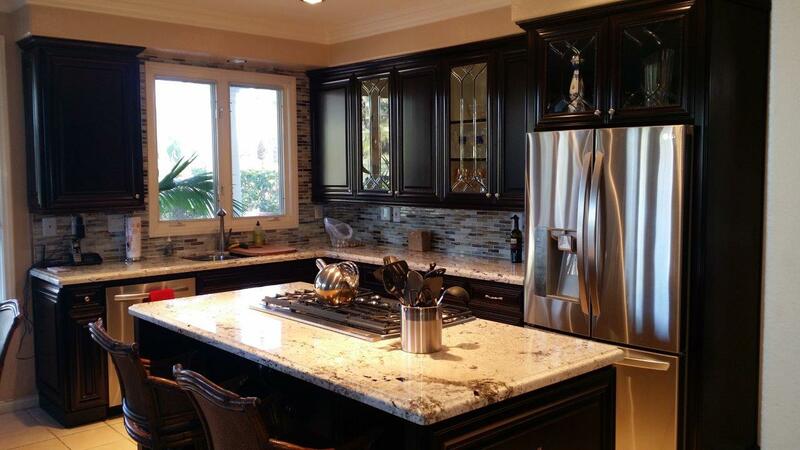 On average refacing costs 30%-50% less than replacing with custom kitchen cabinets. Another bonus is that kitchen cabinet refacing is not nearly as disruptive to your family’s lifestyle since the time factor involved is often so much less. Kitchen cabinet refacing can make updating your kitchen and adding value to your home easier than you may have imagined. 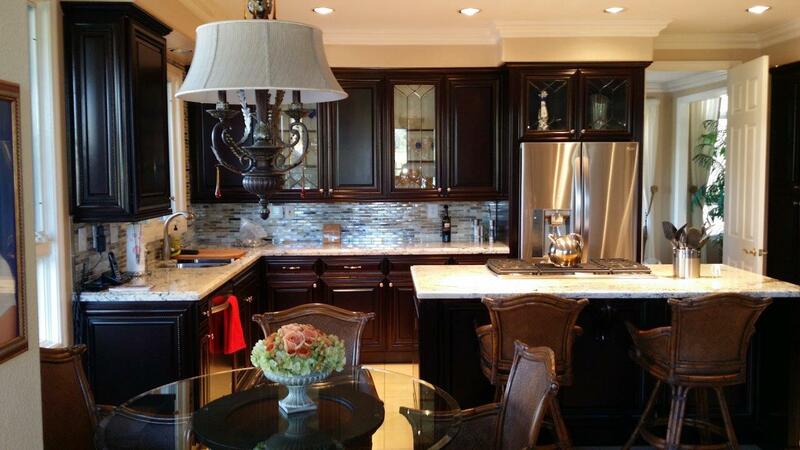 We are so confident that our prices and quality are the best value in kitchen cabinet refacing, that we guarantee it. We will beat the price of any other licensed professional using the same materials. 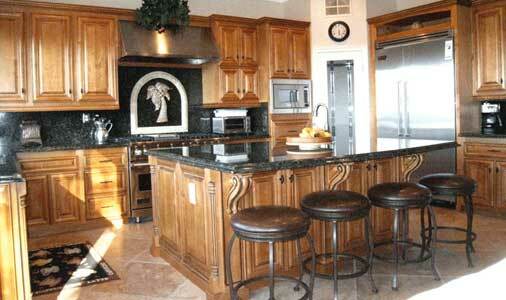 Cabinet Wholesalers in Anaheim can bring your worn kitchen cabinets back to life. Simply call 1-714-693-1111 to request a FREE no-obligation 30-minute estimate today. Do you have a photo or sketch you'd like to show us? Thinking of refacing your kitchen cabinets?